The Norwegian Post and Telecommunications Authority has concluded an audit of the security and stability of the .NO top level domain. After the evaluation, the NPT was very satisfied with the results and concluded that Norwegian domains are robust. The report confirms that Norwegian organisations and businesses prefer to use the .NO as primary top level domain for their website development on the attractive and growing Norwegian market. 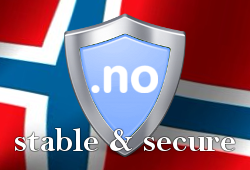 The .NO domain name is restricted to Norwegian companies only. However, many companies opt to use Web Solutions’ Local Presence Service for .NO domains. With that service, no local presence is required.